Tea is produced form the leaves and leaf buds of the tea plant Camellia sinensis. This species of plant is native to the southeastern parts of Asia, but is now cultivated in tropical and subtropical regions around the world. Black, green, white, oolong, and pu-er teas all come from the same plant but are processed differently. Herbal teas are not made from this tea plant. Camellia sinensis is an evergreen shrub that can grow into a tree, but is usually pruned to about 2 m (waist high) to make plucking easier. It does best in hot, humid climates with a lot of rainfall. 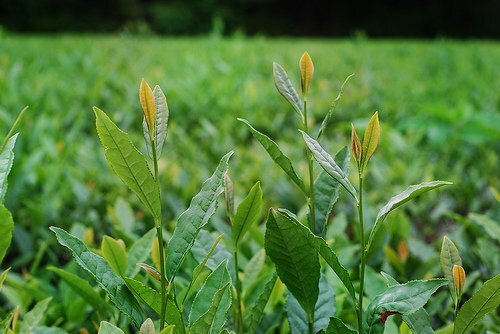 The preferred leaves for tea production are light, young leaves. The plant also grows small clusters of white flowers. The Chinese variety was the first tea plant discovered. It was used to produce tea 3,000 years ago and continues to produce some of the most popular teas. The Indian variety is a larger plant with broader leaves. It is less hardy than the Chinese variety. Tea plants are plucked every one to two weeks, depending on how fast they grow. The buds grow faster in warmer temperatures. 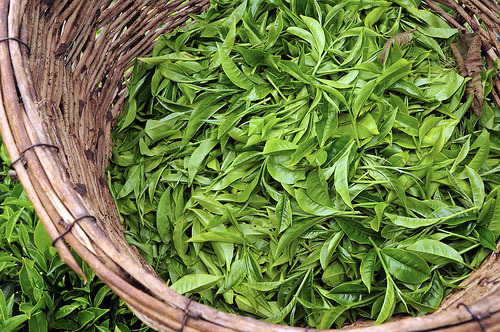 Leaves that grow slower produce higher quality tea. Tea grown at higher altitudes has a different flavor and character than tea grown at lower altitudes. Different types of black tea are usually named based on where they originate. 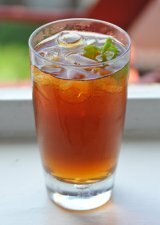 Learn about different types of black tea and black tea blends.